New Bachelorette Party Games You Need to Know About! Bachelorette party games are the perfect way to make a memorable girls’ night out. As long as you’re keeping the bride-to-be in mind when you’re planning, there’s almost no wrong you can do. Check out some of the newest ideas for bachelorette games and feel free to contribute your favorites in the comment section below. Flip, Sip, Truth or Dare is a superb, cross-functional game for your next Bachelorette Party, Birthday Party, or Girls Night Out! This game can be played at home or out on the town. The Let’s Get Trashed Cup and Drinking Game Set is a durable trash can cup w/ lid that that holds all you need (except the alcohol) to play 10 classic & new drinking games. Newest yet is the Bride Gone Wild Pong Cups & Ball Set which makes for an awesome game as well as the best bachelorette party favors!! 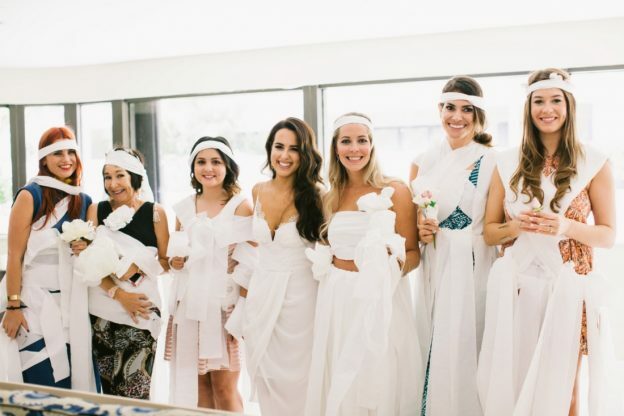 Get ridiculous and decorate the bride with bachelorette party accessories! Use glitter and tattoos to start and work up to the bachelorette tiara and sash. Check out the total package with this Pink Sequin Bride to Be Tiara complete with pink and black sequins, marabou, and ‘Bride to Be’ written on the front. Or walk the naughty side with low-key naughty bachelorette party supplies such as the popular new Pink Naughty Bride Tiara & Veil. Whether you’re planning a girl’s night out or a bachelorette party filled with brand new games, there’s plenty of options and new games arriving all the time! Find more party ideas and share your ideas with me on Pinterest! This entry was posted in Bachelorette Games, Bachelorette Party, Bachelorette Party Accessories, Bachelorette Party Favors, Bachelorette Party Planning, Bachelorette Party Supplies, Bachelorette Party Themes, New & Exciting, Party Planning and tagged bachelorette, bachelorette accessories, bachelorette games, Bachelorette Party, bachelorette party favors, bachelorette party inspiration, bachelorette party supplies, bachelorette planning, bachelorette superstore, new products, party accessories, party theme on November 10, 2016 by Hype Girl.